Koehler Studios, Inc., 9781633932548, 124pp. Is money pulling your family apart? The M Word Journal is based on Sackler's groundbreaking 2013 book, The M Word (McGraw-Hill Education, 2013, updated 2016), which continues to change the way families view and spend money, transfer assets and wealth, and pass along values. The M Word Journal is a new and comprehensive guide on how to successfully orchestrate the crucial conversations around life's most profound transitions. It will, along with The M Word, help you negotiate every aspect of your family finances so that you can ultimately keep your money and family relationships intact. 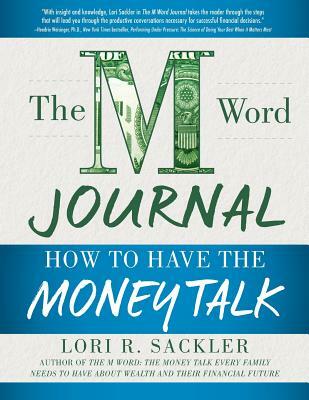 - Successfully prepare for, initiate, and execute the "Money Talk"
The M Word Journal takes you through the "how to" of the Money Talk.